Colour and fun was the order of the day for Jo and Paul O’Connor when they married at Hylands House on 6 September 2014. The stylish bride and groom used a mix of styles for their big day with items that included a gorgeous gold original 50s wedding dress and 60s style blue suits for the groom and best men. Adding more joyful zest, they even had matching pink and blue campervans as the wedding transport. “Before we got engaged, we would talk about if we ever got married, where we would go and we have always had our hearts set on Italy as we love the natural beauty, romance and of course the food!”, said Jo. However, when it came to the crunch, the couple thought it was more important that as many of friends and family as possible could attend, and so they chose to stay local. 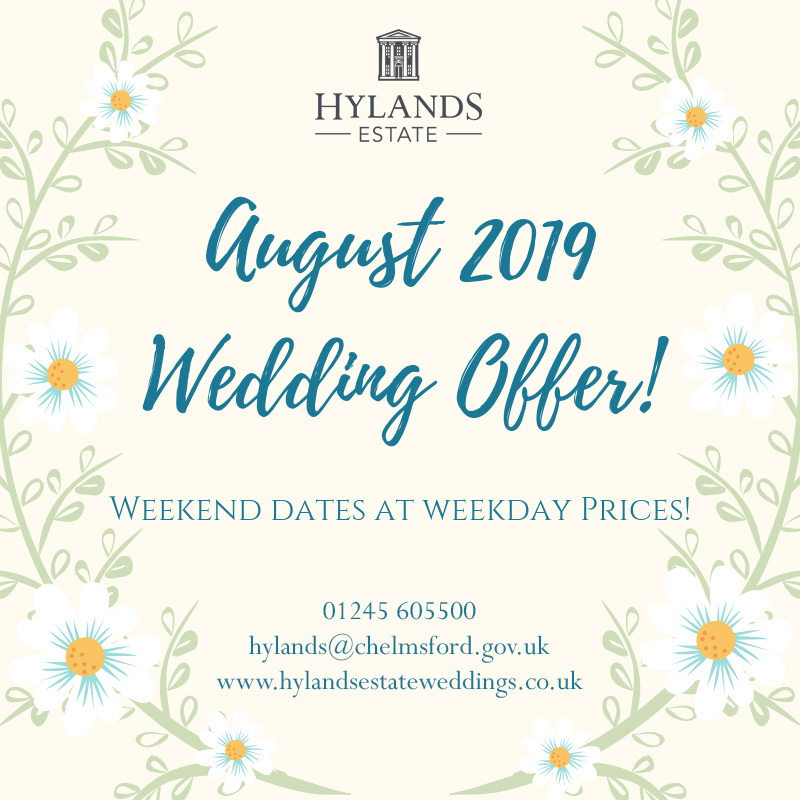 The couple made good use of the space at Hylands House, holding their wedding ceremony in the Drawing Room, having drinks and a pianist in the Small Dining Room, the wedding breakfast in the Banqueting Room and then the Terrace Room and Entrance Hall for the evening party. 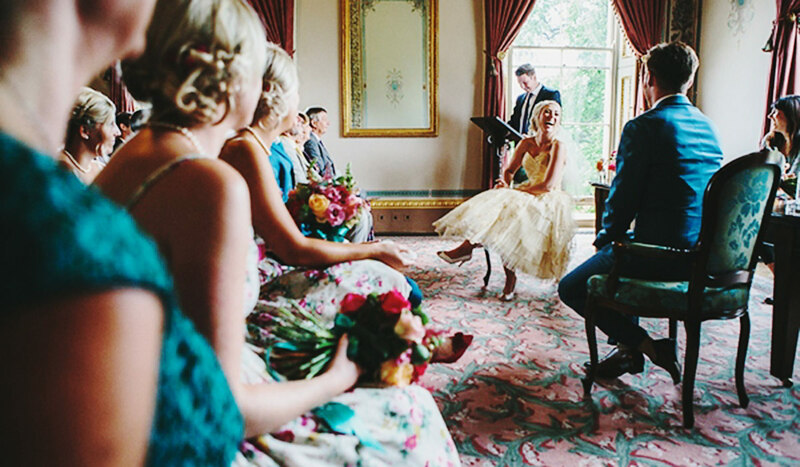 The Bride also had use of the Bridal Room, a new addition to Hylands, to freshen up in, to change shoes and to take a breather!